The FRAMO cargo pumping system is increasingly being fittedon chemical carriers and product tankers. In order to ensure efficient and safe operation of the FRAMO cargo pumps, a sound knowledge regarding its functioning is imperative. 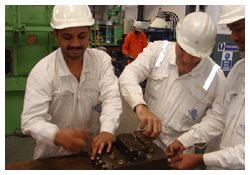 This course familiarizes the participant with the operation and maintenance aspects of the system thus enabling them to operate it safely and efficiently. Stripping operation, cargo pump evaluation curves, analysis of purging results also form part of this course. 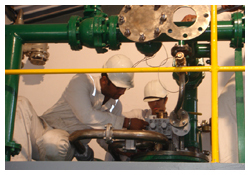 Disassembly / Assembly of Framo cargo pump, flow control valve, relief valve and axial piston pump. 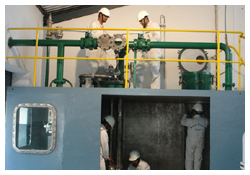 Procedure to carry out performance evaluation of the pumps. 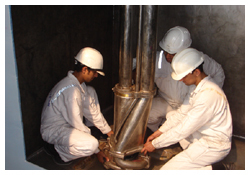 Care and maintenance of hydraulic oil for Framo System.